Candidates with degrees from outside of Italy may participate with a degree certified by an Italian academic authority to be equivalent to one of those degrees listed above. These may include bachelor or graduate degrees in Architecture, Economics, Geography, Law, Civil Engineering, Regional Planning, Biology, Geology, Political Science, Sociology with prescribed requirements. 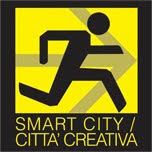 The course will begin on March 5th, 2012 at the Polo degli Adelardi via Adelardi, 33, Ferrara. Ferrara. Forntale teaching, seminars, lectures and exercise. Italy. To define. 1st workshop. Latin America. To define. 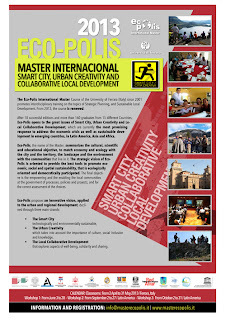 2nd workshop and lectures. Latin America. To define. 3rd workshop and lectures. Internship or Final Stage, Location chosen by the student in accordance with the management. 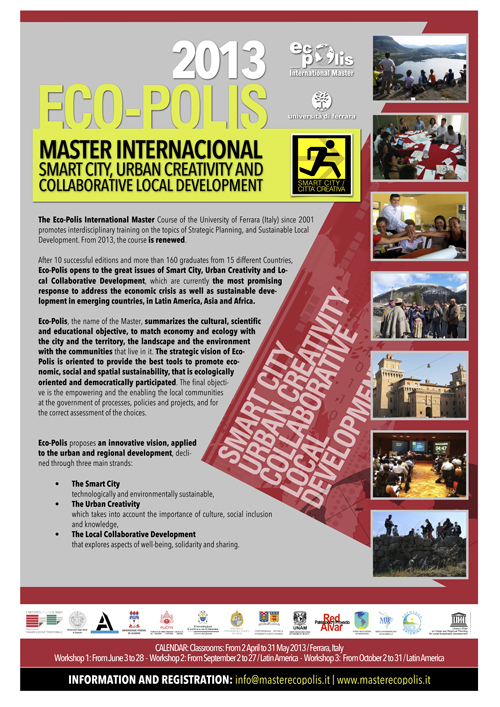 The coursework materials for the Eco-Polis International Master will be sent to all registered students, fifteen days before the commencement of classes in Ferrara. The enrollment fees are 3,000 Euros. The enrollment fees include the cost of the provision of course work materials. Enrollment includes student health insurance as well as access to libraries, classroom facilities and other associated university services. Generally speaking, lodging costs for the period in Italy are under 1,000 Euros. Although no other financial aid is provided for the program participants, there are opportunities for scholarships awarded by other institutions. The directorate will make every effort to have the cost for room and board in Latin America covered by our local Latin American partners. This aspect of the costs will vary from year to year. the minimum number of participants has been reached .